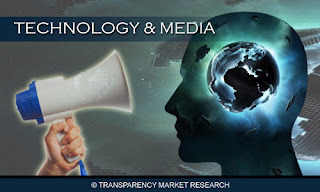 Transparency Market Research includes new market research report "Cloud Security Market - Global Forecast, Share, Size, Growth And Industry Analysis (2010 - 2017)" to its huge collection of research reports. Over the last few years, enterprise adoption of cloud computing has grown incrementally. However, security remains the most renowned issue with the adoption of cloud computing for companies. As enterprises are increasingly investing into clout infrastructure, technology vendors are finding new market opportunity of “cloud security” within the cloud computing market. Though the market is currently small, it is expected to grow exponentially over the next five years. The global cloud security market is estimated to be in excess of USD 6 billion by 2016. Among all the segments of cloud security, mobile cloud security will be segment of focus with 1/3rd of the global cloud security revenue contribution in 2016. With growing adoption of cloud computing, Software as a Service (SaaS) and Platform as a Service (PaaS) will be largest hit with security threats and hence will be leading segment for security system adoption. Improved adoption & growing mobilization of enterprises will attract higher investment into mobile cloud security space. Public clouds, being more prone to security threats will contribute higher towards the cloud security market revenue. A number of renowned security vendors such as Symantec and McAfee have already ventured in to the cloud security market with recent inclusion to the list being Sourcefire with itsFireAMP security solutions. Symantec leads the cloud security space with over one third of the market revenue in 2011. Other major vendors include Trend Micro, HiTrust, High Cloud Security and Bromium. The top five cloud vendors accounted for more than 2/3rd of the cloud security revenue in 2011. The report contains the global scenario of Cloud Security Market discussing detailed overview and market figures. 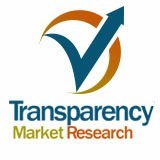 The research report analyses the industry growth rate, industry capacity, and industry structure. The report analyses the historical data and forecasts the Cloud Security Market size, production forecasts along with key factors driving and restraining the market.